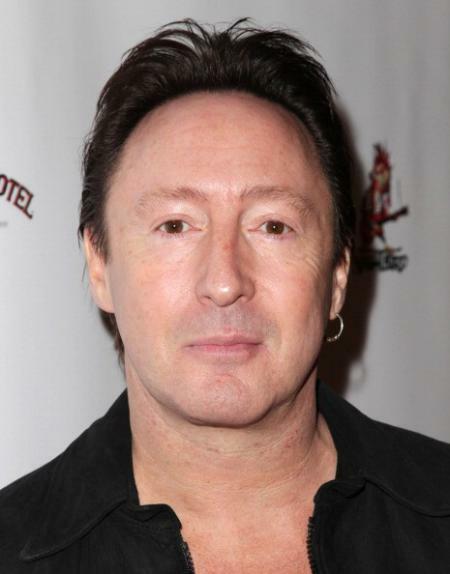 Julian Lennon Net Worth 2018: Hidden Facts You Need To Know! 1 Grandson of Alfred Lennon. 2 Nearly eight years after the death of his father, he appeared in George Harrison's, "When We Was Fab," which talked about the days of Beatlemania, when The Beatles were referred as "The Fab Four." Lennon was holding one of his father's solo records. 3 Became lifelong friends with George Harrison. 4 Admits that he was closer to Paul McCartney than he was to his father. 5 The song, "Hey Jude", was written by Paul McCartney, to console Julian during his parents' breakup. 6 He has had a long and troubled relationship with his stepmother, Yoko Ono. 7 John Lennon says "Hello Julian" in his recording of "Stand By Me", and is the reason Julian sings the song in concert. 8 Stepson of Yoko Ono. 9 Named "A Day in the Life" (one of the handful of The Beatles songs actually co-written by his father, John Lennon, and Paul McCartney) as his favorite Beatles tune. 10 His father John Lennon wrote the song "Good Night" for him, which closes the Beatles' 1968 self-titled album (commonly called the "White Album"). John gave the song to Ringo Starr to sing. 12 Played in an early 1980s band with 'Koz Mirblouk', who later wed model Julie Chan (now Julie Mirblouk). 13 Was engaged to actress Olivia d'Abo in the early 1990s; she sang backup on his album "Help Yourself". 14 Along with receiving a birthday card every year from Paul McCartney, Julian also received a telegram from him when his first album was released in 1984: "Good luck, old fruit." 15 Had a "bad boy" period in his teen years, forming and dissolving bands overnight with names like "The Lennon Drops" and "The Lennon Kittens", and letting himself be photographed washing dishes in a hotel, much the same as his grandfather "Freddy" Lennon had in the Sixties. Mother Cynthia Lennon finally made him move out of her house, tired of his bringing would-be collaborators home at all hours, while stepmother Yoko Ono gave him a $100 a week allowance to stop him working menial jobs. 16 When Julian decided to pursue a music career, he submitted demo tapes to record companies without his name on them, wanting to be signed on the strength of his own talents, rather than the Lennon name. Charisma Records in the UK offered his band a recording contract, not knowing until the signing who the lead singer was. 17 Fought a long battle in the late 1990s, to acquire the Internet domain name "johnlennon.com" from its registered owner. Has also spent the last several years (and thousands of dollars) collecting items that once belonged to his father. 18 Had a rough time growing up, with schoolmates who automatically assumed that being the son of a pop star meant he was rich and snobbish; in fact, he and his mother lived in a modest house on a small income, and he had a hard time persuading father John Lennon to buy him things, or send him money - even when he related tales of what he was expected to live up to. 19 After the relative failure of "Help Yourself", he took a five-year break from recording, to do some soul-searching and especially to come to terms with being John Lennon's son; he realized he'd been very angry with John, who had publicly preached about peace and love while privately being rather harsh and neglectful toward his own family. His comeback album "Photograph Smile" was dedicated to his stepfather Roberto Bassanini, who'd "really raised me.". 20 Claimed early in his career to be looking for a mystical sign John Lennon had promised to send him if he died; a white feather floating evenly across the room. His song "Well I Don't Know" mentions his "feeling the presence of the dead", a reference to sensing John's presence in a house (which he later learned John had visited in life), when he was writing material for his first album. Years later in Australia, an Aboriginal native presented Julian with a white feather, causing him to re-examine his feelings toward his father, and toward promoting peace. 21 Julian's inheritance from father John Lennon's estate was a small one--a $250,000 trust fund set up when he was a toddler, which he refused to touch when he received it at age 25. Was given several large cash gifts from Yoko Ono years later; nonetheless, he has said he'd rather have had some of John Lennon's song copyrights and other possessions of his to share with his Lennon relatives in England. 22 When 11-year-old Julian visited John Lennon in the recording studio during the "Walls and Bridges" sessions, the two played an impromptu version of "Ya Ya", with John on piano and Julian on drums. John surprised Julian afterwards by revealing there'd been tape rolling--and their performance was going on the album. It turned out to be their only collaboration. 23 Has admitted he actually prefers Paul McCartney's work in The Beatles to his father John Lennon's, while he especially admires John's "Isolation", among his solo material. 24 Was engaged to Lucy Bayliss; however, the relationship ended in early 2007. 25 Was the inspiration for Paul McCartney's song "Hey Jude", and was mentioned in father John Lennon's song "Mother.". 26 Father John Lennon's song "Lucy in the Sky with Diamonds" was inspired by a drawing Julian had made at school. 27 Half-brother of Sean Lennon and step brother of Kyoko Ono Cox. 28 Son of John Lennon and Cynthia Lennon. 1 I've never really wanted to know the truth about how Dad was with me. There was some negative stuff, like when he said I'd come out of a whiskey bottle on a Saturday night. Stuff like that. You think, 'Where's the love in that?' ...There seems to be far more pictures of me and Paul [McCartney] playing together at that age than there are pictures of me and my dad. 2 I don't meditate in any formal way, but I often lie in bed or find myself in nature and enter into that state of quiet where I get images, feelings, or melodies. 3 You never know how your work is going to be received. 4 My goal in life has been to be a songsmith, not a pop person. 5 I've done every kind of touring known to mankind. I've played the big and the small places. 6 Like most photographers, I try to capture a moment in my work. 7 I had always thought of starting my own record company. I haven't regretted the decision - yet! 8 A lot of people think that I grew up in recording studios and knew the whole process, but that was never the case. 9 People are generally badly advised when they're starting out in the creative field. 10 I am not John Lennon; I never will be! 11 My dad's music was a great inspiration to me. 13 On the one hand, I've had such a normal upbringing with my mum, who has kept me grounded, but on the other, the wild experiences through my dad. 14 He was like a real dad, you know. We used to sit down with guitars and mess around. 15 I'm one of those people who snake through the crowd, keep my head low. I'm not looking for attention. 16 Music's been with me from the get-go. It was always around me as a kid. Dad got me my first guitar when I was 11 and, at school, if you wanted to be cool you had to be in a band. 17 I'm not one for flings, I can tell you that. 18 He wasn't a great father. He was a great musician. That's always been a touchy one, and it will be until I can find the answer, but I don't know if there is one. 19 I have a short temper - I think it's part of the Celtic background. I used to be a lot more angry, but I was quite discreet with it. 20 As much as I love music, in my mind, photography is what makes me the happiest - that's for sure. 21 I am a complete mother's boy. I try to do everything with honour, respect and grace because the last thing I would want to do is hurt her. 22 If you bring a child into this world, whether it's planned or an accident, you'd better make sure you can care for it. You have to be around. You make time. It's as simple as that. 23 I think everyone has the potential to be creative, but they have to find the avenue or avenues that work for them. 24 I live in a small apartment in London, not some big house with a lot of security. I don't like too much security. There's no freedom. I'm a person, not some precious diamond that needs guarding every second. 25 I get twitchy if I don't pick up a guitar or sit at the piano every now and then... I have to do it; I don't have a choice. 26 I can't stay mad very long. I get grumpy when I read a bad review. I say, 'How could he say that about my music?' Then I forget about it. If I got mad every time somebody wrote something negative about me, I'd be exploding all the time. I'd be burned out just from reading reviews. 27 I realise myself that hate wastes a lot of time and energy, and I would rather re-direct any energy that I have to good and positive use. 28 I've been a philanthropist for all my life, and... I've had many involvements in humanitarian and environmental issues. 29 I love to sit on a mountain top and gaze. I don't think of anything but the people I care about and the view. 30 Dad could talk about peace and love out loud to the world, but he could never show it to the people who supposedly meant the most to him: his wife and son. How can you talk about peace and love and have a family in bits and pieces - no communication, adultery, divorce? You can't do it, not if you're being true and honest with yourself. 31 I've found constancy and balance between creativity and normality. Grand Theft Auto V 2013 Video Game performer: "Too Late for Goodbyes" / writer: "Too Late for Goodbyes"
Hisss 2010 performer: "Sway" / writer: "Sway"
Whaledreamers 2006 Documentary "Saltwater" / performer: "Saltwater" / writer: "Saltwater"
Spice Girls: Live in Your Living Room 1998 TV Special performer: "Saltwater" / writer: "Saltwater"
Music from Another Room 1998 performer: "Day After Day" / writer: "Day After Day"
Mr. Holland's Opus 1995 lyrics: "COLE'S SONG" / performer: "COLE'S SONG"
David Copperfield 1993 TV Movie performer: "Something's Gonna Turn Up", "Is There Anyone? ", "Family Christmas", "I'll Be Your Hero"
Playing for Keeps 1986 performer: "STAND BY ME"